Full Moon High is a goofy, silly movie. There’s just no two ways about it. It’s not some misunderstood attempt at a story about a teenager gone bad (see I Was a Teenage Werewolf). No, it goes straight for the yucks, occasionally breaking the fourth wall to do so. It has a slight charm to it because of who’s in the director’s seat, but it’s straight up spoof territory where the jokes don’t land so much as crash. The bizarre cast includes Kenneth Mars, Desmond Wilson (yes, that Desmond Wilson), Roz Kelly, Elizabeth Hartman, Pat Morita, Bob Saget, and even a minor role for Alan Arkin who, unsurprisingly, freshens up the film when he enters it. 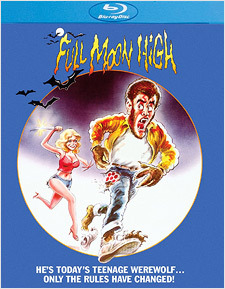 Skipping right over DVD, Full Moon High makes its Blu-ray debut via Scream Factory. I’m not exactly sure what was used for a transfer, but it looks quite good under close scrutiny. Grain is extremely light and detail is sharp with only occasional softness. The color palette comes through well, although it isn’t overly potent with rich hues and perfect skin tones. Black levels are deep but are intermittently lightened up by the grain while brightness and contrast levels are satisfactory. It’s also quite clean with minimal scratches and speckling. 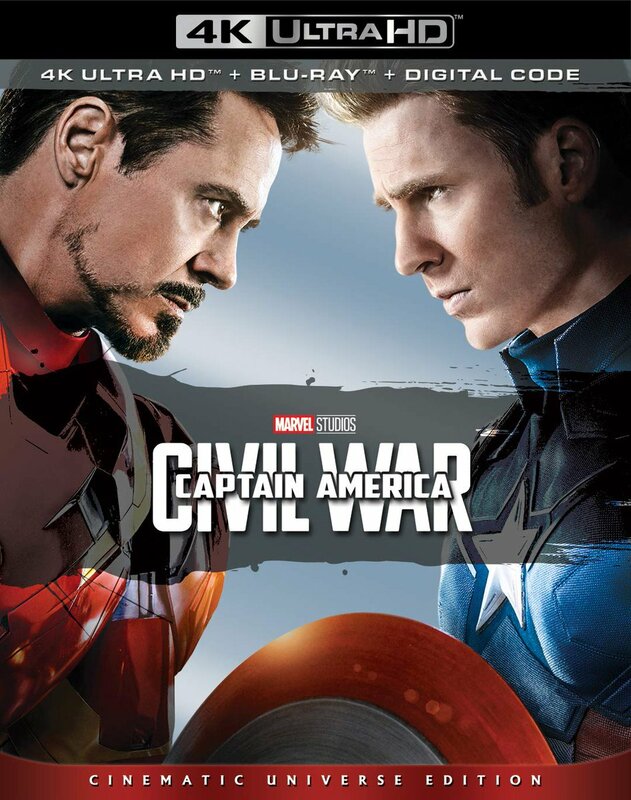 For the audio, an English 2.0 mono DTS-HD track is provided with optional subtitles in English SDH. It’s fairly narrow without a whole lot of fidelity, but dialogue is clear and the overall track is free of hiss, crackle, or distortion. Extras include a nice audio commentary with director Larry Cohen, moderated by King Cohen director Steve Mitchell. It provides plenty of great anecdotal information about the making of the film, as well as some other stories, with Mitchell asking plenty of questions. 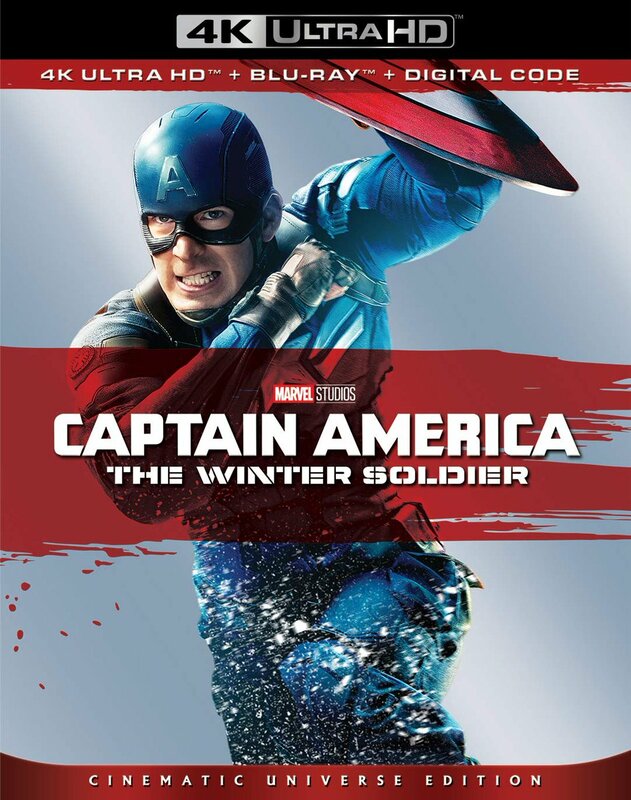 Also included is the film’s original theatrical trailer in HD. Larry Cohen’s work has always had a satirical edge to it, but Full Moon High is his all-out attempt at pure comedy. With humorous nods to both Carrie and Psycho, it’s chaotic, dialogue-driven one liners and sporadic pratfalls make it a light-hearted experience that lacks some teeth, but manages to nibble its way towards enjoyment. Unavailable on home video for years, Scream Factory rescues another gem from obscurity.